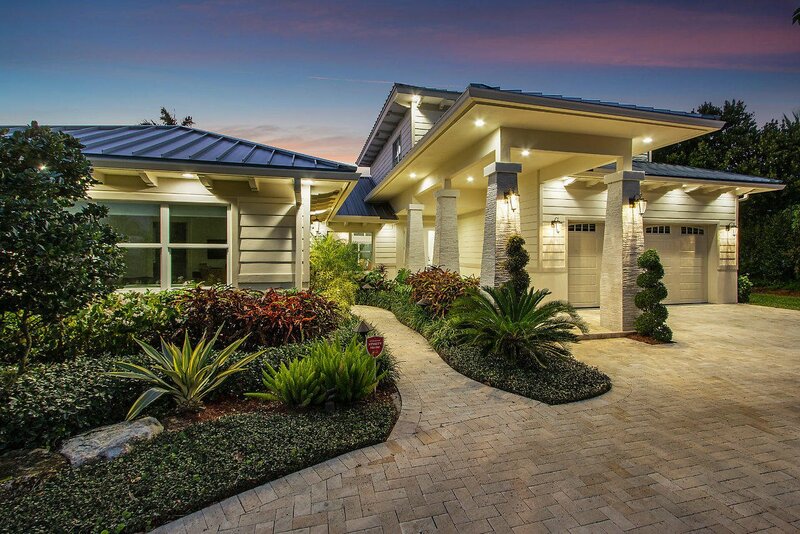 Experience the best of Delray Beach in this 2018 contemporary coastal estate nestled on a quiet street and situated on a premier, quintessential lakeside lot. This brand new residence take its place among Lake Ida luxury homes boasting 5,800 total sqft, 5 beds and 5.1 baths comprising sleek white spans and bright walls of glass with the lush warmth of the tropics. This contemporary waterfront gem exemplifies the intimate connection between indoors and outdoors. Maximizing the best of SoFla outdoor living, this home offers an ideal entertaining loggia w summer kitchen, private pool w outdoor shower + pool bath, and exclusive dock w boat lift to enjoy the fresh water of Lake Ida. This luxurious lakefront home is centrally located minutes from the beach & downtown Delray, only 1.5 miles away. 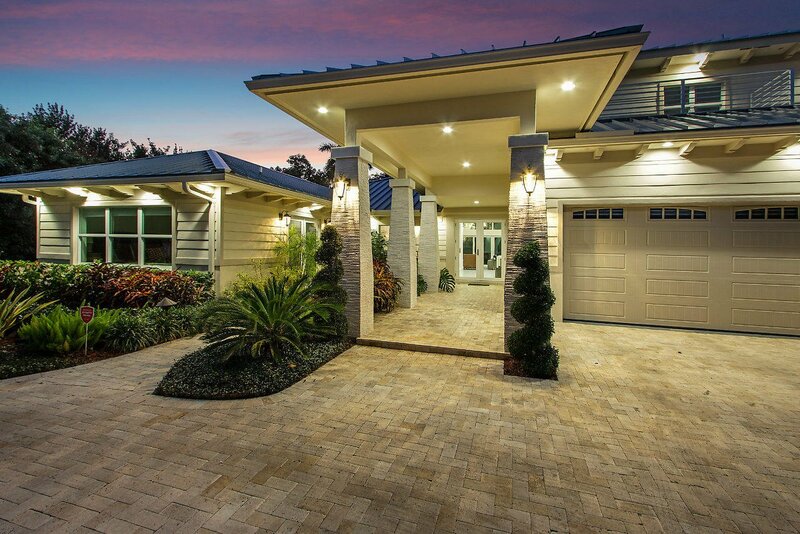 Experience the best of acclaimed Delray Beach in this 2018 newly completed coastal estate nestled on a quiet street and situated on a premier, quintessential lakeside lot. This brand new residence take its place among the rest boasting 5,800 total sq. ft., 5 beds and 5.1 baths comprising sleek white spans and transparent walls of glass with the warmth of a coastal chateau. This contemporary waterfront estate interplays an intimate connection between indoors and outdoors. Maximizing the best of outdoor living in South Florida, this home offers an ideal entertaining covered loggia with summer kitchen, private pool with outdoor shower + pool bath, and exclusive dock with boat lift to enjoy the fresh water of Lake Ida. Soaring volume ceilings, porcelain floors throughout, chef's kitchen with high end appliances and white custom cabinetry, impact windows and hardwood staircases only skim the highlighted features and finishes in this masterpiece abode. The second-floor master suite features spacious his and her walk-in closets + marble master bath and utopian bedroom comprising French doors that open to a whimsical covered balcony perfect for capping your evenings with sunsets and tranquil lake views. This luxurious, modern lakefront home is centrally located just minutes from the beach and Atlantic Avenue's restaurants and thriving downtown easily accessible via bike and golf cart!